When developing a new structure, one of the key tasks is to make sure the structure is safe and sturdy. A well-built structure is the building block for a durable development. One of the most durable structures that engineers have developed over the years is the shipping container. Designed to transport a wide variety of products and materials on long journeys through harsh elements like oceans, the shipping container is built to last (much like its close cousin the train box car). In light of this, what if durable shipping containers could serve as the “structures” in an urban real estate development. 1. Lodging. In August, Designboom featured 10 hotels from around the world that were developed using shipping containers. 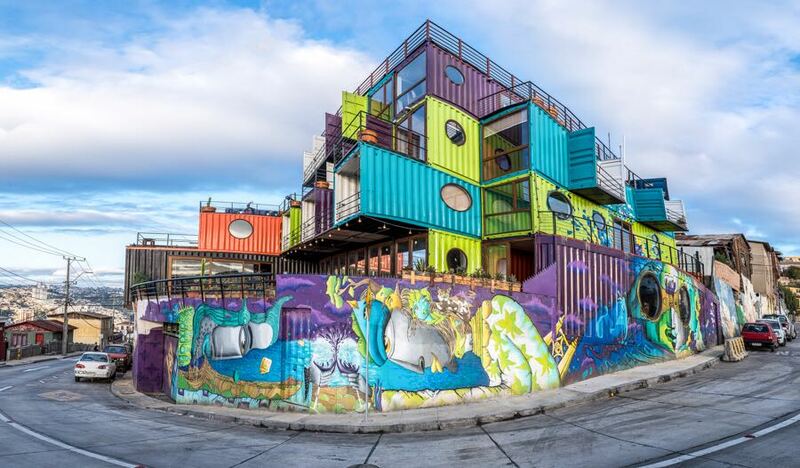 These quirky overnight options including Tiny Urban Escapes and the eye-popping WineBox Hotel located snugly on an urban street corner in Chile. 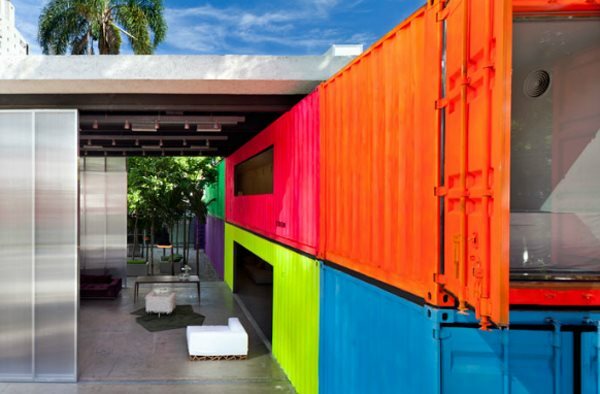 The portability and compact size of shipping containers make them a creative option for fitting unique lodging experiences into tight urban sights. 2. Dining. When Tampa city leaders decided to re-imagine Channelside Bay Plaza, an outdated Downtown retail project that never really embraced urban connectivity, they decided to replace it with Sparkman Wharf—a new urban mixed-use experience designed to be integrated (rather than isolated) from the adjacent Downtown area. One of the key features of Sparkman Wharf will be a series of new restaurants (including one from a James Beard Award winner) built from a series of good ole’ shipping containers. The repurposed shipping containers will be complete with interesting murals and surround an urban lawn. Sparkman Wharf is just one example of the growing trend of transforming shipping containers into dining and drinking destinations. 3. Housing. Have a tight lot in an urban setting (or even a rural one for that matter)? Want to live in a sturdy house with major curb appeal and uniqueness. 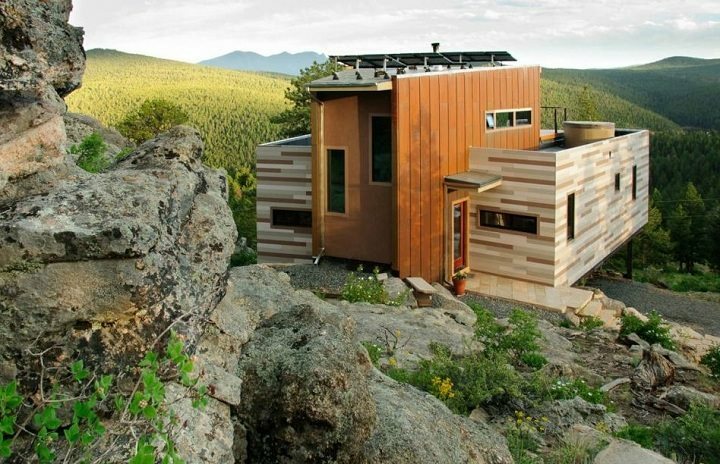 If so, a shipping container house might be an option for you. Curbed recently reported on quirky shipping container houses that you can purchase right now ranging from shabby-chic to urban-refined. One of the nice features about a shipping container home is, because of their stackable design, you can expand your house with additional containers to create a modular homespace both vertically and horizontally. All of this begs the question: how could shipping containers be repurposed into unique uses in Downtown Huntsville? 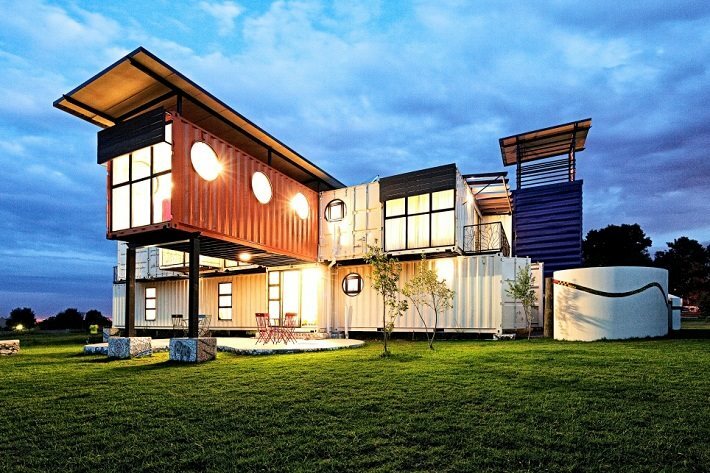 Would you Airbnb at a quirky shipping container inn? Grab coffee or your favorite craft beverage from a shipping container establishment? Even live part or full time in a shipping container home that fits nicely into the tight urban spaces of our city center.